Last week it was “The Shape of Me and Other Stuff” and this week we wandered into another Dr.Seuss book “Dr. Seuss’s ABC”. You see around here I have been working on getting ready for my brother’s wedding, so I have had to find ways to entertain them inside…even though it is beautiful outside! Today I asked my eldest daughter to read “Dr. Seuss’s ABC” to her younger sister. This book is filled with tricky tongue twisters…a real challenge for an eight year old. When they were all done reading the book, I gave them their challenge…to create an ABC Scavenger Hunt. So, what is an ABC Scavenger Hunt? Well, my girls had to go around the house and find a different item for each letter in the alphabet. Now, the twist to this challenge was that the item could not be simple…like “c is for cat” it had to be something Seussical…like “c is for creepy crawling calico cats.” My younger daughter had a camera in her hand, her role was to take a picture of the item…I had a feeling we might not be able to understand what they were referring to. As a team they had to generate a list and a group of photographs. This was a fun activity. My girls ran around the house for over an hour. They used their creativity to come up with the words and to compose the photographs. It was fantastic to see my two girls working together; laughing, negotiating, reading and writing together. In fact, this activity inspired my daughter to read another Dr. Seuss book…and to create her own supporting activity…I will share that with you next time. 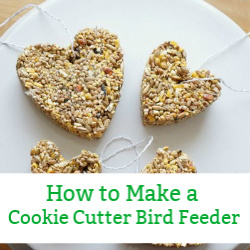 Follow Jen at KitchenCounterChronicle’s board Kid Activities that Totally Rock on Pinterest. Thanks for stopping by Maria – I linked up! 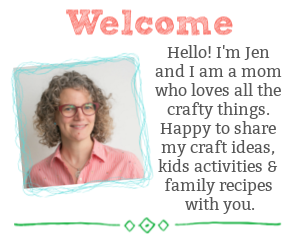 Hey Jen, found you from MBC, I love the name of your blog…that’s exactly where you’ll find me, at my kitchen counter, serving up food to my 3 kids, being crafty, or just doin’ the dishes! what a fun idea! especially since not only were they learning, but they were having sister bonding time, too! 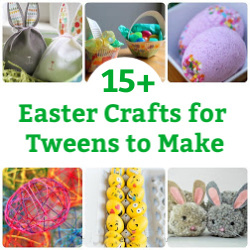 thanks for linking this up to my tip-toe thru tuesday party last week! Hi Suzanne – the kitchen counter is the heart of the home! Thanks for coming by. Hey Andie – I love your linky party…thanks for stopping by. Thanks Andie…I’ll be sure to stop by and grab a button! and follow along! This really looks like fun! I love all the fun things that they found. I’m going to browse around your blog now and follow it. Glad I found you through the Nurture Store. Great Victoria! I did a few posts with activities based on Dr.Seuss books this summer. I’ll pop by your site and link up!